Timed perfectly for Father’s Day, the Davis Love Foundation will launch ticket sales for the 2017 RSM Classic on June 1. The RSM Classic, an Official PGA TOUR FedExCup Event hosted by 21-time PGA TOUR winner Davis Love III will be held at Sea Island Golf Club, November 13 – 19. The special Father’s Day package is available through June 18. This offer includes two (2) general admission tournament tickets good any day, Thursday – Sunday, and a round of golf for two (2) people on one of Sea Island Golf Club’s three courses—Seaside, Plantation or Retreat. This special package can be purchased for $200 and must be ordered by June 14 to guarantee delivery in time for Father’s Day. In addition to the Father’s Day special, Weekly Ticket Booklets, Day-Specific Tickets and Good Any Day tickets will be available for purchase on June 1. 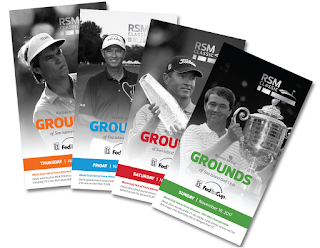 The Weekly Ticket Booklets are $80 and include a general admission ticket for Thursday through Sunday as well as The RSM Classic Concert Event on Saturday evening (artist TBA). Day-Specific Tickets for Thursday – Sunday are $25 and Good Any Day tickets are $30. In addition, youth 17 years and under receive free general admission each day when accompanied by an adult ticket holder. Active duty, military reserve and military retirees receive up to two complimentary tickets per day, and veterans receive up to two discounted tickets per day. Learn more about general admission tickets here. In Team RSM news, members Zach Johnson and Davis Love III are playing in the Dean & Deluca Invitational which kicks off this week in Fort Worth, Texas. Also playing in this tournament are past RSM Classic winners Chris Kirk (2013), Robert Streb (2014), Kevin Kisner (2015) and Mackenzie Hughes (2016). Below are the players tee times for today (Thurs., May 25). Best of luck to all “our guys” this week! This coming Mon., May 29 is Memorial Day. We hope everyone has a wonderful Memorial Day weekend and takes time to remember and thank those who have served and are serving our country. At RSM, we are proud to support veterans, military service members and their families. Within our firm we have our Stars & Stripes employee network group which encourages the recruitment, retention and success of veterans, military service members and their families. This network provides many resources to support the development of these individuals, while leveraging their diverse skill sets to serve our clients. 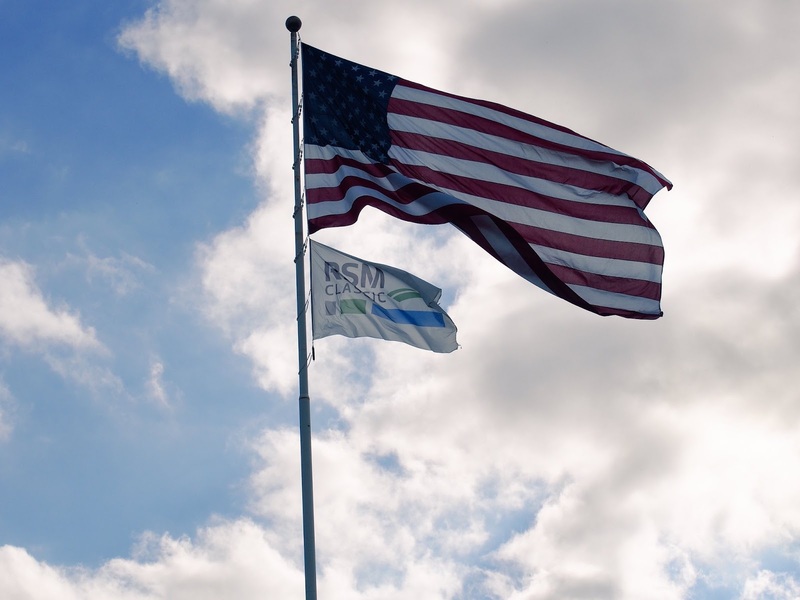 The RSM Classic salutes the men and women who serve and have served in our armed forces. To show our support, the Saturday of tournament week is designated as Military Appreciation Day. All servicemen and women will have access to a hospitality venue located near #9 green that includes complimentary food and non-alcoholic beverages as well as premium golf viewing. In addition, at last year’s tournament, the RSM Classic teamed up with Folds of Honor for a “Million Dollar Challenge” and the firm presented a $10,000 check to Folds of Honor. We look forward to teaming up with them again this year. Learn more here.